This is a sponsored post written by me for Nasalguard. All opinions are mine alone. Spring is officially here, which means we are trying to spend more & more time outdoors. The kids love playing in the backyard and I love nothing more than visiting the local park and going for a scenic walk. However, spring allergies can sometimes get in the way of outdoor fun. Today I’ll be sharing some drug-free ways to keep allergies at bay, from using NasalGuard® gel to employing a HEPA filter and more. Spring is here, folks…don’t be afraid to get outside and smell the flowers! Did you know that people are exposed to millions of airborne particles in crowded spaces, such as airports, subways, offices, hospitals, schools, movie theaters, etc? What’s even more concerning is that we have all heard the recent news about major ailments (asthma, diabetes, lung cancer, etc.) being linked to air contamination. By using NasalGuard gel regularly, you can help to reduce the risk of breathing harmful contaminated air. How does NasalGuard work? It’s a topical gel that essentially acts as a portable air filter. It contains a cationic (this means it’s positively charged) polymer that generates an electrostatic field around the nasal passages. This electrostatic field then traps oppositely charged particles and repels similarly charged particles. The result is the reduced inhalation of many harmful airborne particles (dust, pollen, mold, dust mites, pet dander, viruses) before they enter your body! Medications like Flonase & Claritin can be effective against allergies, but they come with a risk of side effects. I love that NasalGuard is a low-cost, drug-free alternative. NasalGuard actually prevents allergens from entering your system, as opposed to simply masking symptoms. 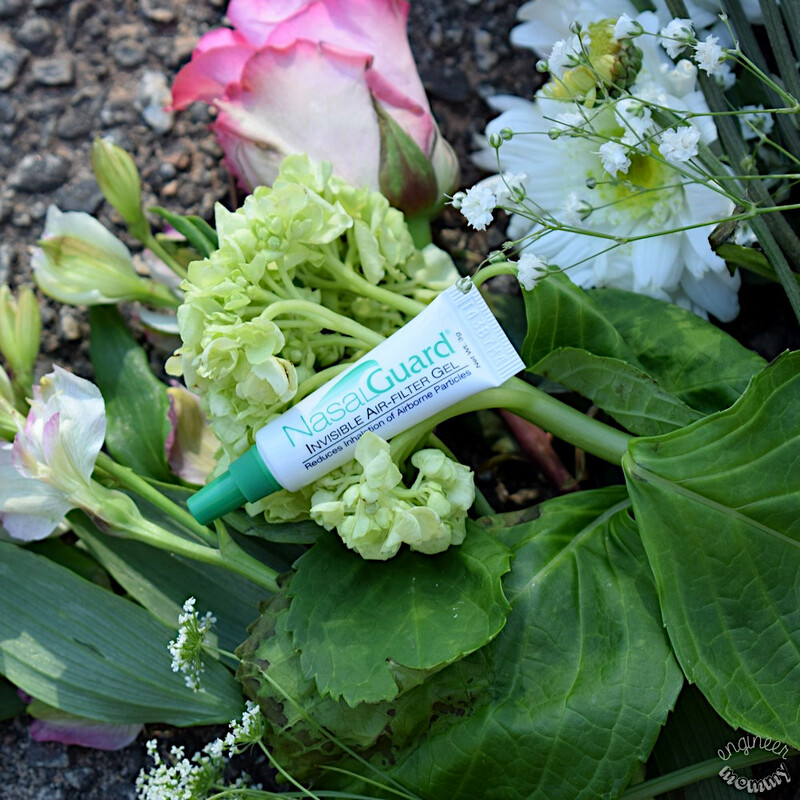 Perfect for spring & pet allergies, NasalGuard is safe for use by children, teens, pregnant/nursing women and those concerned about potential drug interactions with other meds. I love that NasalGuard is something that won’t interfere with other medications that I (or my family) may be taking. 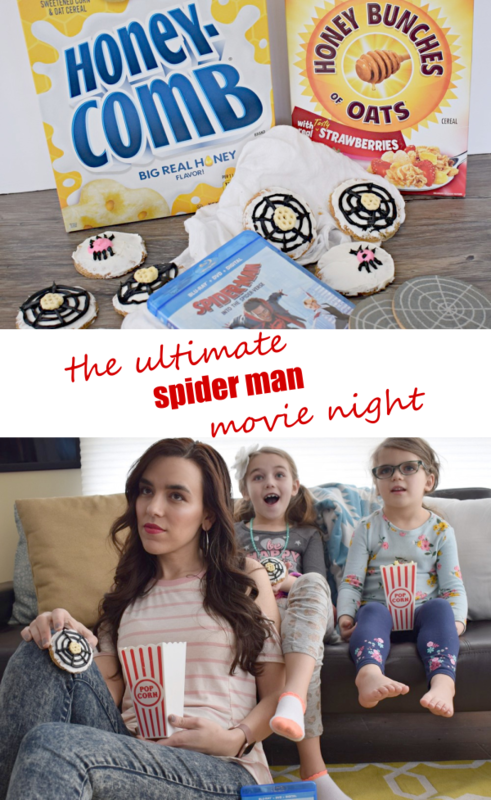 Even my kids can use it safely! When allergies don’t get in the way of everyday life, we can spend more time outdoors! 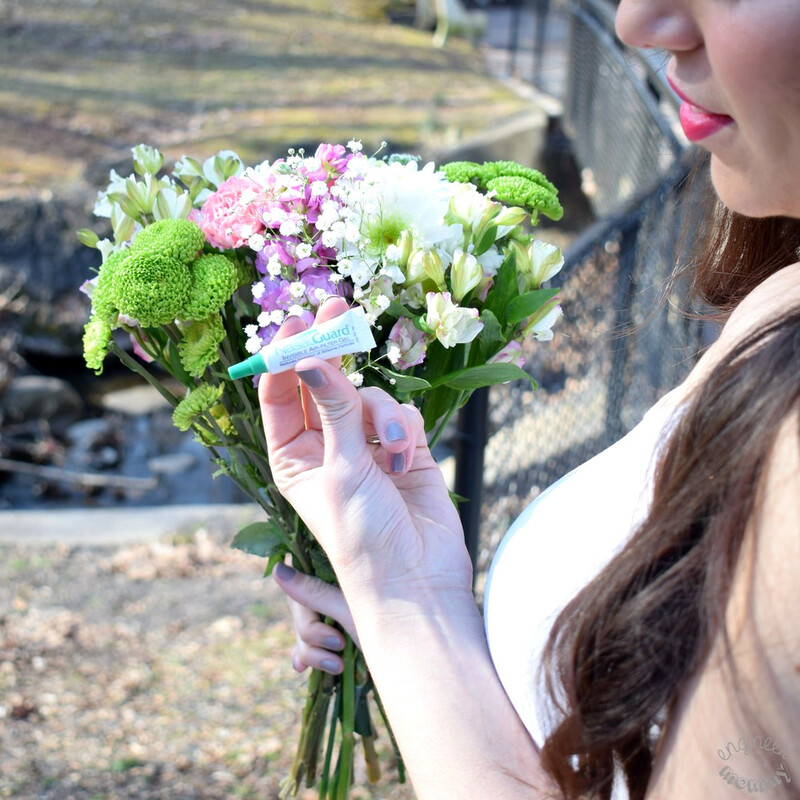 Don’t let seasonal allergies stop you from experiencing the beauty of the spring season. Live a healthier life with NasalGuard and protect yourself from those harmful airborne particles. NasalGuard can be used in your homes, offices and other environments, where airborne particles may pose a health hazard. The gel works immediately once it’s applied and it lasts for a whopping six hours. Impressive, right? 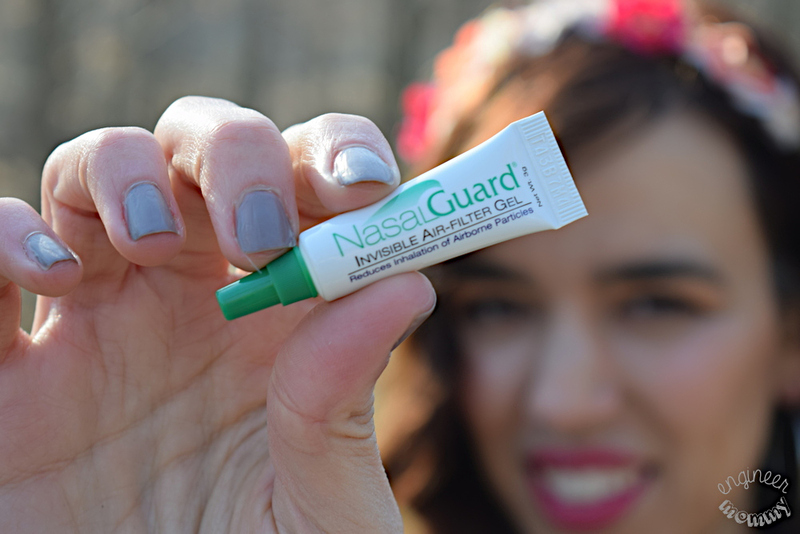 Join the millions around the world who have purchased NasalGuard and see how it can help you experience spring to the fullest! Purchase NasalGuard gel online here. Close windows/doors: Allergens can enter the home through open doors & windows. To keep allergens at bay, close windows & doors, especially during high-pollen days. Use a HEPA furnace filter to block pollen and other environmental allergens from entering your home’s ventilation system. However, keep in mind that these filters tend to be costly and need to be replaced regularly. Did you know that shoes & clothing can all track pollen inside the home? Leave pollen outside your home, by removing clothing worn outside and washing your skin once you get home. Did you know that pollen can even enter the eyes? Wear a wide-brimmed hat and a pair of sunglasses on high-pollen days for some added protection. Also, eye rinses can help wash away pollen, while antihistamine eye drops can offer some relief from itchy eyes. Sometimes pollen allergies can be exacerbated by food reactions. If you suspect this may be the case for you, keep a food diary and look for trends. Eliminate your trigger foods and watch as your symptoms subside. You can also reduce inhalation of airborne particles by wearing a dust mask. Of course, this solution is quite unsightly! Whatever combination of steps you take to tackle seasonal allergies, make sure you don’t let pollen keep you indoors. Get outside and explore… there’s a whole world out there! Learn more about NasalGuard here. Do you (or someone you know) suffer from seasonal allergies? Would you be curious to try NasalGuard? My grandson suffers from seasonal allergies so I need to share this with his mom. I like that you shared so many drug-free ways to prevent allergies. It’s a great idea to remove shoes before entering our homes. Haven’t tried nasal guard so will have to ready the ingredients and how to use it actually. I suffer but just part of summer and I love being outdoors. Maybe this will help. I’ll have to try this. I have been suffering from allergies, ugh. I’m in Texas, so they can get pretty bad. I have a couple of friends that are suffering terribly from allergies. I am going to tell them about this and see if it works for them!! We are so lucky I see the pollen coming down and we don’t suffer from allergies. I do like the idea of this Nasal Guard for my sister and her kids who do have alot of sniffles this time of year. I’m not a fan of taking over the counter medications. I actually forget anything that requires a daily dose. This would be the perfect alternative. Wow… I have never heard of this stuff!!! I suffer big time from allergies, especially during pollen season. I need to try this! I did a bit of outdoor yard work this past weekend, and immediately noticed that my allergies started acting up. A saline nasal spray typically helps me out during those times. Allergies can be really a real hindrance and Nasal Guard is going to come in handy this season! This will help make spring and summer even more enjoyable. Got to try this. My allergies have been active since the first of March, and not in a good way. This is an interesting product. I have never heard of this before, but it sounds like a great way to keep allergies under control. I can only imagine how tough it is to have to deal with seasonal allergies. My son suffers from seasonal allergies, so his doctor prescribed him a medicine to take daily. And so far, so good. I need this! I suffer from allergies and sometimes it’s really annoying. I’ve tried lots of medicine before.